Lutron offers several shading systems with the same great benefits as Sivoia QS, including ultra-quiet precision control, but with additional features. Browse through the other systems below. 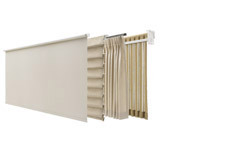 Sivoia QS Wireless technology makes controlling and adjusting Lutron automated window treatments simple, and can integrate with lighting control systems, such as RadioRA 2. 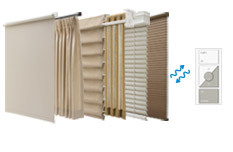 Sivoia QED technology makes controlling and adjusting Lutron automated window treatments simple, and can integrate with lighting control systems, such as Homeworks, for total light management.